Competing in Japan's Super GT series with 2 Hatsune Miku cars, GSR&Studie with TeamUKYO is now proud to announce an all new "Nendoroid Racing Miku 2011 ver. 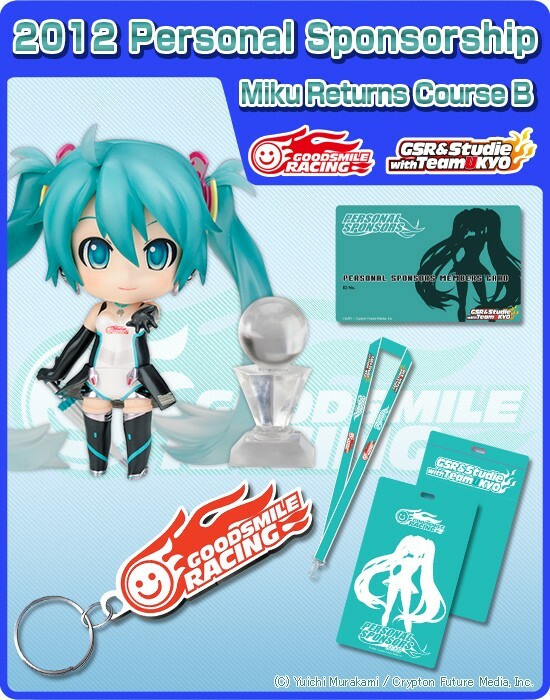 Returns" Personal Sponsorship Course, with a special figure based on the "Nendoroid Racing Miku 2011 ver." figure that was originally part of the 2011 Personal Sponsorship Course - and more! This 2012 version will include an all=new Nendoroid-sized Champion Trophy. Reception will close on Oct. 9, 2012 at 20:00JST. © Yuichi Murakami / Crypton Future Media, INC.